The Zip file (opens on all computers, If in doubt the program WinZip may help) Contains the entire album plus all artwork. p.s. 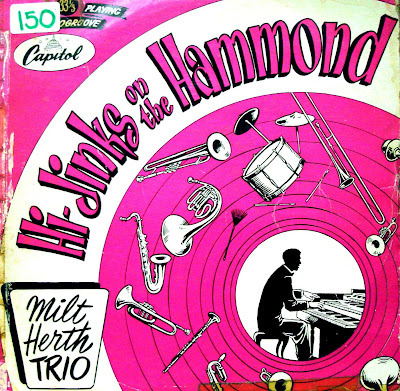 Milt used some new stops or settings on this LP. Listen for the bassoon and others. Milt-O-Holick...a benign illness, thank heaven. Yup, he's slower, indeed not as frenetic. Seems a different organ altogether, but not bad at all. Definitely some great numbers on it. Aren't we 'holics lucky with Ade? WOW! I'm trying to do a little research on early jazz organists and, according to WorldCat, pretty much no library in the US has Milt to share, but you do! Thanks so much. Any tips on where to find more?